Perfect for classroom and meeting room facilities. 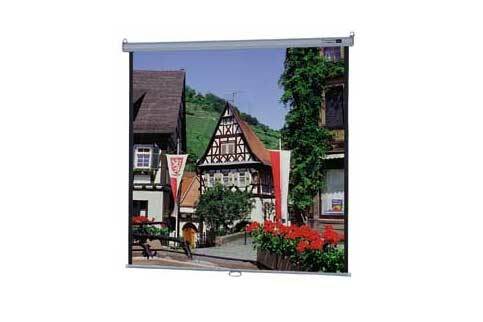 Easy pull-down system locks at intervals to fit a variety of projection formats. Nylon bearings provide smooth quiet operation for the life of the screen. Case design allows for hanging from a ceiling or flush mounting to a wall. Matte White, High Contrast Matte White, Glass Beaded and Video Spectra 1.5 fabrics will be seamless in all sizes.